What a good looking couple! We love the variety of wedding portrait locations at The Aerie. It was such a beautiful summer day for Abby and Kevin’s summer wedding at The Aerie at Eagle Landing. When I entered the bride’s room it was buzzing with activity as all the girls ran around getting ready in their cute matching robes. Once Abby was ready it was time for the first look. The first look is always such a sweet private moment for the couple and I enjoyed watching these two as they looked at each other with such excitement. The three of us then headed off to explore the property and take some fun portraits together. Once the wedding party joined us we couldn’t help but run out to the green for a few images. And the front of The Aerie is always such a great backdrop for group photos. The ceremony was heartwarming and all that love just carried through the evening as people dined, toasted, and danced the night away! All the ladies had matching robes to get ready in. Wedding photography at The Aerie at Eagle landing is a real delight. The bride and groom at the entrance to The Aerie at Eagle Landing. The entryway at The Aerie is such a beautiful location for portraits! This wedding party knew how to have fun! 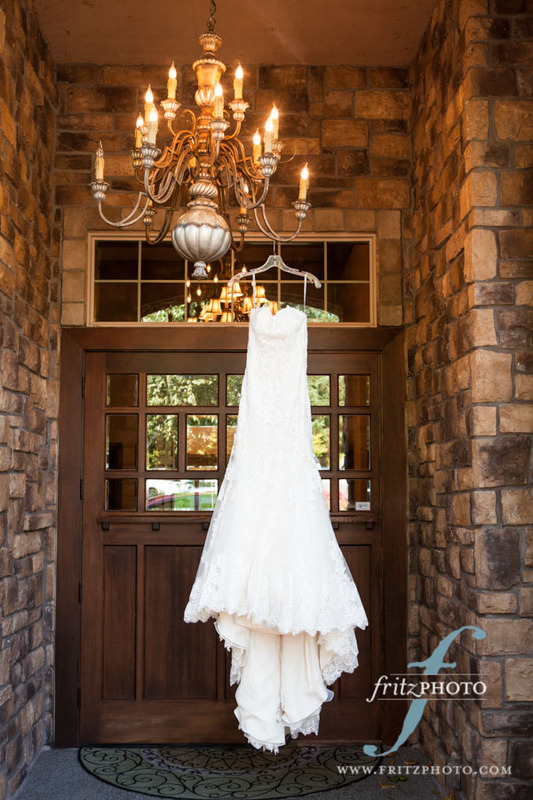 We love the fact that The Aerie at Eagle Landing has both indoor and outdoor venues for weddings. Looking for the best wedding photographers at The Aerie at Eagle Landing? Contact us today about your wedding photography! New 3D prints of wedding photography in Portland will blow you away with their depth and beauty! Wedding photography just got cooler! Just in time for Portland wedding photography season, we have something brand new to offer our wedding clients: 3D Prints! These are unlike any 3D print you’ve ever seen. Our local Portland 3D print maker invested in millions of dollars of Italian-made equipment, and many many hours, in order to produce these amazing prints. When you put one on your wall, it feels like you can put your hand right in to it! And just in time for the season of wedding photography in Portland, we are offering these prints at a discount to our brides and grooms. Come in and check them out! I would have called this my “Snow Queen” portrait of Gaby, but there was no snow…. I’ve known Gaby since she was pretty small. We met when I photographed her mom’s wedding many years ago. She and her sister were the cutest bridesmaids you’ve ever seen. Over the years, we photographed her older sister’s senior portraits, her older brother’s wedding, then Gaby’s senior portraits. We did some photography for her graphic design work as well. And now…her wedding photography. What an honor. Gaby and Eric have so much fun together. So it was a real pleasure to see them finally married, surrounded by their family and friends (who also have a lot of fun together!). It was a beautiful, sunny day for a wedding at the Abernethy Center, in Oergon City, and we took full advantage of that late December sunshine, while it lasted. Gaby’s sister borrowed her cape (it was cold outside!) and we just couldn’t resist this lovely portrait. These guys really do have a lot of fun together! The beautiful Aberthethy Center Chapel in December is such a warm and inviting wedding venue. A bubble send-off after the wedding ceremony at Abernethy Chapel…and then on to the Abernethy Ballroom for the reception! Wedding photography in the Abernethy Ballroom is so lovely, when you have a romantic crowd on the dance floor. This is where my intersection with the family started…with Judy and Jason’s wedding many years ago…. We love Abernethy Center wedding photography, especially at weddings as lovely and meaningful as this. Congratulations, Eric and Gaby! We love you guys! It was an overcast day at Pumpkin Ridge Golf Course when we arrived to photograph Allison and Travis’s wedding. But Allison’s sunny touches of yellow accents were perfect! They cheered everything up nicely. Plus, Allison and Travis had a lot of fun together, as did Allison’s son (an adorable ham for the camera! ), so we had a great time photographing their wedding. In fact, her son also escorted the bride down the aisle, along with her father, which was really touching. And he was also included in the lighting of the unity candle during the wedding ceremony. So meaningful! During the wedding reception, Travis helped Allison take a few swings at the driving range at sunset (Matt is a regular golfer at Pumpkin Ridge), which was fun to watch. What a fun, beautiful wedding day to at which to be the wedding photographers! Absolutely love the cleats at this wedding! Details like this make wedding photography extra enjoyable. Black and white is so classic and classy for wedding portraits! These two were so cute to photograph together! The bride and bridesmaids had such a great time together at this wedding! It was so beautiful to see Allison’s son be part of the wedding ceremony! Loved this sign that directed everyone to the wedding reception…. So many warm yellow details at this wedding! Travis is an avid golfer, and helped Allison knock a few in during the wedding reception at Pumpkin Ridge Golf Course. A photo of the golden hour kiss at Pumpkin Ridge! We love to photograph bride and groom portraits during sunset at weddings! You can also see the photography for this Pumpkin Ridge wedding on our website! Are you looking for a wedding photographer for Pumpkin Ridge Golf Course? You’ve found us! Contact us today to talk over your wedding photography! Destination wedding photography is always a blast. Sun Valley, Idaho made for a beautiful backdrop for Anne & O’Neal’s wedding photos. Sun Valley, Idaho was the perfect choice for Anne & O’Neal’s destination wedding event. Driving from one end of town to the other takes less than 5 minutes, so it was easy to capture so many picturesque locations. And when the time came for these two to exchange vows at the beautiful church, Our Lady of the Snows, nestled in the rolling foothills of the Rocky Mountains, they were surrounded by family and loved ones. And then…they celebrated the night away…. -Wedding Venue – Our Lady of the Snows Catholic Church (Wedding Ceremony) & River Run Day Lodge (Wedding Reception); Sun Valley, ID. Anything funny happen at the wedding? I spent an hour in the morning lint brushing dog hair off of the seats in my car after finding out that I would be the one to have the privilege of chauffeuring the bride and groom from the ceremony to the reception…. Anne & O’Neal’s first look was was my favorite part of the day. They were both so fun, and funny, and the best kind of emotions were bubbling over! The location at the barn was stunning, and a few horses even came over to the fence line to see what all the fuss was about. Why did they choose that venue? I overheard them saying that both of their families used to vacation in Sun Valley when Anne & O’Neal were children – but I am not 100% sure of that fact.I am also pretty sure (but not certain) that they were living in Denver at the time of the wedding. Our Lady of the Snows Catholic Church was such a beautiful, intimate space for their wedding ceremony! And then they danced the night away…. Ready for your destination wedding photography? Whether you’re in Portland, Oregon, or Sun Valley, Idaho, we’re your destination wedding photographers! Standing in front of our family and friends and reciting our own vows we wrote for each other. We inadvertently made all our our guest cry. The bride managed to keep it together, but the groom was a puddle of happy tears. Shortly before we were scheduled to begin taking photos, the bride was concerned about wrinkles and asked the Groom’s mother to go downstairs where the guys were getting ready to inspect his suit. Dissatisfied with the results of the plug-in garment steamer, the Groom’s mom commandeered an iron and ironing board from one of the groomsmen’s hotel rooms and proceeded to iron the Groom’s pants, jacket and shirt before letting him get dressed, much to the delight of the groomsmen. Our dessert was a selection of pies from Lauretta Jean’s Pie Bakery, the site of our first date. We had five different varieties- heirloom apple, black raspberry streusel, salted honey, tart cherry, and caramel apple- each labeled with a beautiful hand-painted sign courtesy of the Bride’s sister Sarah, who also painted the invitations. Those signs now hang in our kitchen. The bride’s dress came from The White Dress in Portland, while the Groom’s suit and tie came from Men’s Wearhouse and his shirt was from Nordstrom, purchased by his best man’s for his own wedding the month before. Since the two sides of our family didn’t know each other very well prior to the wedding, we staged a family get-together on Saturday following our rehearsal in the form of a family baseball game – Team Bride vs. Team Groom. We used extra-soft training baseball and “keep swinging until you put the ball in play” rules. Team Bride came away with a 16-12 victory. The groom patiently waiting for his well-ironed suit. The bride’s beautiful dress from The White Dress in Portland. Our rehearsal lunch was held at the McMinnville Grand Ballroom and catered by Biscuit and Pickles Catering. Are you looking for a Youngberg Hill Wedding Photographer? Contact us today; we would love to be your wedding photographers! Edlyne Boyer - What a gorgeous wedding! Even the weather was perfect. 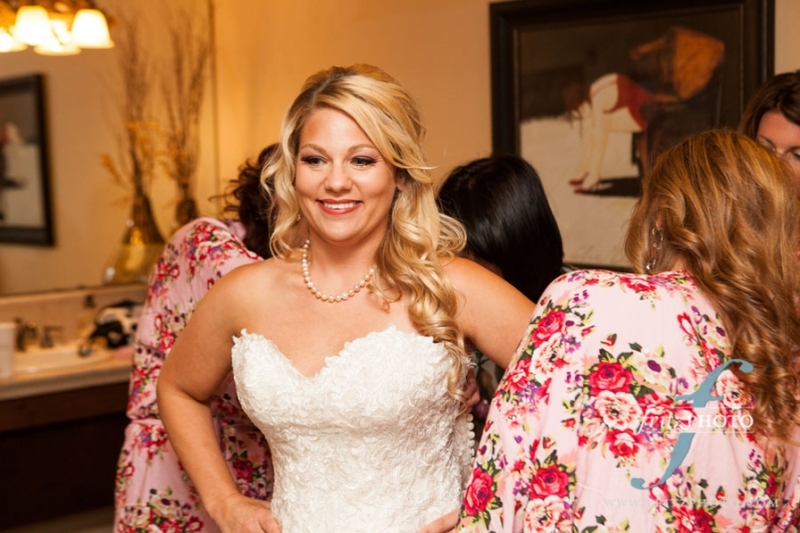 Emily was an absolutely beautiful bride, and the joy and love Emily and Rockne share brings smiles and happiness to all that share these pictures and memories. We had another stunningly beautiful evening for senior photos in Beaverton. Megan is a senior at Beaverton High School. She’s a beautiful young lady that laughs a lot. She’s also interested in medicine (Beaverton High School has a class for just this interest), and is saving for college with her after school job. This is Maverick, Megan’s dog. They rescued her a year ago, and he’s such a cutie! Well-behaved, and very cooperative in front of the camera. I wish all dogs were like this; it would make photographing them so much easier! We had a great time photographing Megan’s senior portraits at Jenkins Estate, in Beaverton. It’s one of our favorite locations for senior photos in Beaverton, because it’s large, well maintained, and has so much variety. Add in the golden hour of sunlight at the end of the day, and a beautiful model, and we had a wonderful time photographing her senior photos together. Ready for your senior portrait session in Beaverton? Contact us today to schedule yours! We love being senior portrait photographers in Beaverton, Oregon! Natalie drove to Beaverton for her senior photo session–all the way from Brush Prairie, Washington! (She’s a senior at Hockinson High School.) As we walked and talked, she mentioned that she was interested in photography, and is studying it in high school. As soon as I had my camera trained on her, she lit up, and was so lovely to photograph. So both behind and in front of the camera, she is one talented lady! Fall in Portland can be a lovely time to photograph senior photos. But the weather doesn’t always cooperate. That’s why we like to take advantage of warm, sunny fall days to take as many senior portraits as possible. I loved photographing Natalie’s senior photos in Beaverton! What a treat. Wherever we photograph senior portraits, we’re always looking for new and interesting locations. This hidden gem we found this weekend. Smiling or serious, Natalie’s so lovely in front of the camera. Couldn’t pass up the dappled sunlight in the woods at the Jenkins Estate as we photographed Natalie’s senior photos. An example of the fine-art look in our senior portrait photography in Beaverton. Some of our senior portrait photographs of Natalie look like they’re straight out of a jeans ad! Ready for your senior portrait photography session, in Beaverton, or Vancouver, or Portland? Anywhere you want to take your senior photos, we’ll be there. Contact us today to schedule your senior session! Lisa, Chet and their sweet dogs at their wedding! I am not sure that we have a favorite moment. The whole day was awesome for us. It was a flawless day and I contribute that to you and all of our wonderful vendors. They took such great care of us, our wedding party and our guests. The whole day was our favorite moment. We had my brother and his partner walk our 3 dogs down the aisle before I made my grand entrance. People loved it and the dogs were crazy. I think our favorite detail was the kids table we created. It had crafts, glow sticks, bubbles and such for the kids to play with. The table looked great and then it was destroyed, but the kids loved it. It was fun to watch them walking around with superhero masks on (they created) and mustaches. Weddings can really be an adult thing so it was important to us that the kids had fun too. We loved Cambrae! She did a great job managing our family and us. Our pictures are amazing and absolutely beautiful. It’s hard to pick a favorite moment of what I consider the best day of my life, because all of it was amazing. If I had to pick a moment, it would be the moment John and I turned around and faced our family and friends after being pronounced Husband and Wife. I’m not one to seek the spotlight, and neither is John. But, seeing everyone look at us with such joy and love made me feel something I’ve never felt before. It was like a moment of complete and total bliss. There were a lot of funny moments at the wedding, we’ve got some hilarious friends and family. But the funniest thing by far was the Wilson cousin prank. The cousin prank started back with Johns dad and his brothers pranking each other at their weddings. Well, John and his cousins have adopted this tradition and now at every Wilson wedding, the cousins get together to prank the newlyweds in a way that really represents the cousin getting married or the cousin themselves. John and I met at Oregon State University while playing trumpet in the marching band, so naturally we’re die-hard Beaver Fans. We caught wind of the Duck décor that had ended up on our table, so we planned to destroy it all when we got out there. But as soon as we sat down, a couple of Johns cousins dumped a hundred or more little rubber duckies all over us. We were not expecting that! When it comes to the details there were a lot of things John and I put together with some help from our vendors. My favorite detail was the center pieces for all our tables. John and I spent a year collecting lanterns to have on all the tables and with a little help from our florist, had beautiful flowers surrounding our lanterns with electric candles in them. The reception space overall came out fantastic, but the center pieces were the things I favored the most. My dress is by Justin Alexander and I got it from Charlotte’s Bridal in Beaverton (shout out to Nikki for being the best bridal consultant!). I also got my veil from there as well. My floral hair piece is from an Etsy shop called OhDinaFlowerCrowns. My husband got his suit custom made at the Men’s Wearhouse in Vancouver, WA (shout out to Trevor for helping him create an amazing suit!). First, I would like to thank all the vendors who made our wedding possible. Everyone did an amazing job and we’re extremely easy to work with. I’m thankful that they all crossed our paths and helped make our wedding even more magical than we thought it would be! Now I’d like to give once piece of advice to future brides/grooms out there: Don’t sweat the small stuff! Seriously, it’s literally the best wedding/marriage advice that was given to me. During the wedding planning and even the wedding itself, things will happen, and stuff might not go the way you want. But, if you just remember that at the end of the day, you will be getting married to the love of your life, it will be the best day ever. So, remember what the wedding is actually about and don’t sweat the small stuff as you’ll have a better time planning your wedding and enjoy your big day even more. Walking down the aisle, seeing my husband to be! I think it’s what every little girl dreams about! Definitely our entrance! Out of all the things we had to worry about, our “entrance” was the last thing we thought about or planned. When we left it to our wedding party to wing, one of our groomsmen may or may not have ripped off his shirt as he walked into the ceremony. Haha! Our arbor! My husband and his uncle worked so hard on it and it looked EXACTLY like the photo we found on Pinterest! Men’s Warehouse, Bridal Exclusives (for my wedding dress) and David’s Bridal for all my ladies! Liz and her brother share a moment at her wedding at Langdon Farms in front of their arbor, inspired by one they found on Pinterest. Our day was absolutely perfect. It was everything we could have imagined and more! 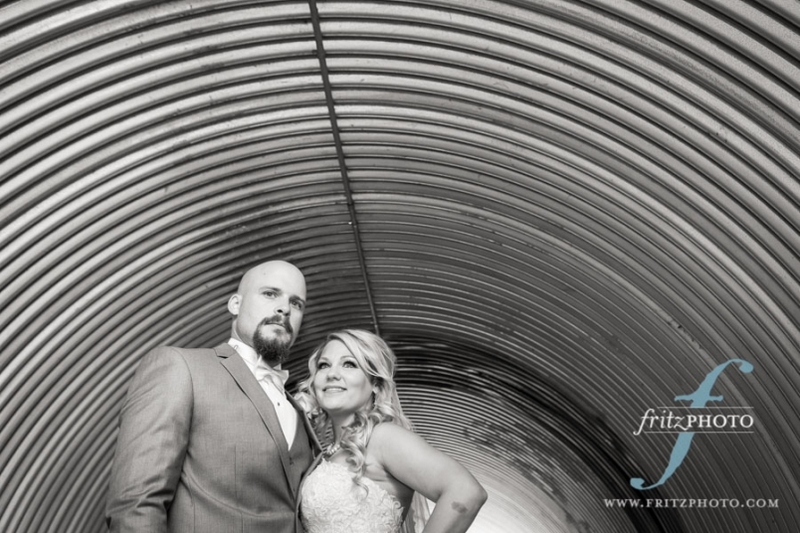 We cannot thank FritzPhoto and Lucia Weddings enough for capturing it on camera!